At Peach Croft Farm we are proud of the relationship we have established with our wholesale customers throughout the years. 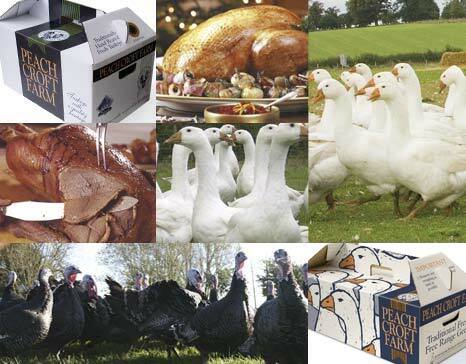 Having built up a relationship of trust, we work hard to maintain that confidence – delivering, year after year, top quality traditionally reared turkeys and geese. We supply butchers, farm shops and restaurants as well as companies who want to give their staff that extra special Christmas bonus. 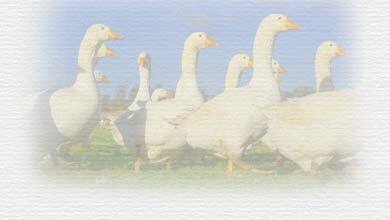 As a matter of course, we deliver our turkeys and geese boxed, individually weighed and priced and oven-ready, with cooking instructions and herbs. We also provide appealing and effective point of sales marketing aids such as posters and counter leaflets. If you would like to become one of our suppliers, please complete the form on the contact page, or call us on 01235 520094. For that special staff gift at Christmas, certain to be enjoyed by all, please complete the form on the contact page, or call us on 01235 520094.